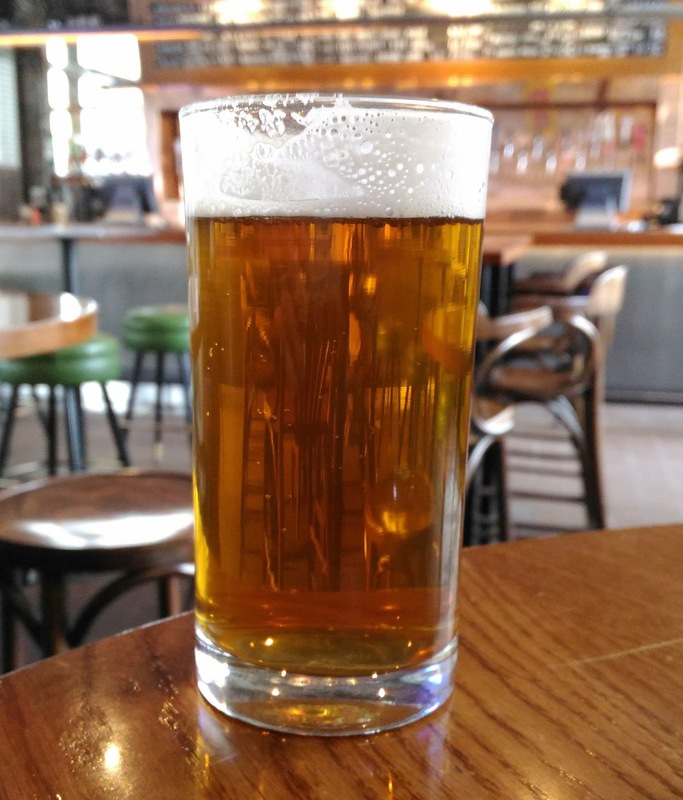 One of the things I learnt, talking to brewers at both the final London Drinker last week and Craft Beer Rising before that, is that some continue to talk down cask ale. Somewhat sadly, for a cask-focused festival, even one of the prize-winning brewers at London Drinker confessed to me that his brewery is doing less cask. What was perhaps more interesting was that his reasons were more nuanced. Rather than the wild generalisation we’ve heard before that "Cask is too cheap", his argument was that cask is too cheap for many of the beers he wants to make. Because the thing is, cask is not too cheap, nor is it impossible to build a viable business model on it. For many of the brewers I’ve discussed it with, the reverse is true: cask can be the cheapest way into the market. Pubs already have the necessary hand-pumps and are well-used now to the idea of guest and seasonal beers, cask deliveries and collections can help maintain customer relationships, and you have those less tangible promotional benefits of tradition, ‘LocAle’ and ‘NaturAle’. Sure, it needs investment in infrastructure – a cask-washer, for instance, and the casks themselves, while reusable, are not cheap – but so does keg, and that’s typically more expensive. And yes, Keykegs (and cans, for that matter) are recyclable, but aren’t we supposed to be reducing the use of one-way plastics and making more use of reusable containers? The real pricing problem is more subtle, and it’s to do with how popularity and availability affects expectations of price. 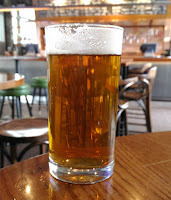 You can make cask ale pretty cheaply indeed, if what you’re making is relatively lightly-hopped brown bitter, using mostly English hops. What you can’t do is make a full flavoured and hop-forward craft beer at the same price, not least because the ingredients are so much more expensive. Prices I’ve heard for modern New World hop varieties can be three to four times those of English hops, for example, and something like a New England IPA uses way more hops than a Bitter does. So, expecting to pay £3-ish for cask real ale is reasonable, as long as what you want is subtle, flavoursome bitter, an English mild or pale ale, maybe a decent Porter. And to be quite honest these are the beers that can be utterly sublime in cask when well-kept, but can equally well be one-dimensional when kegged. On the other hand, expecting a Double IPA, a triple-hopped American Pale, or a Belgian Quadrupel of any decent quality for £3-ish in cask or keg is just taking the proverbial. And in many (though not all) cases, such high-powered beers will benefit from the lift that an appropriate degree of extra carbonation in keg can bring. So no craft brewer should be talking cask down like it’s something that’s holding them back, or moaning that it’s "too cheap". If you can cost-justify the recipe at £3/pint, casking it can both show your skill and produce a better end-product. On the other hand, if the recipe won’t be viable at £3/pint, then by all means keg it at £5/pint. But don’t pretend there is any inherent extra value for the consumer in kegging. Sure, there is value for the bar – they get a product that can stay on sale longer, which enables them to charge more while they wait for it to sell, instead of pricing it to sell promptly. That might be OK for slow-selling niche beers, but charging £1 more for the keg version of a cask beer is merely an ecologically damaging rip-off. And no one should disparage ‘twiggy brown bitter’. Some drinkers prefer subtlety, properly done, to in-yer-face flavour. And many of us like both, depending on our mood, our budget, the occasion or venue, or whatever.